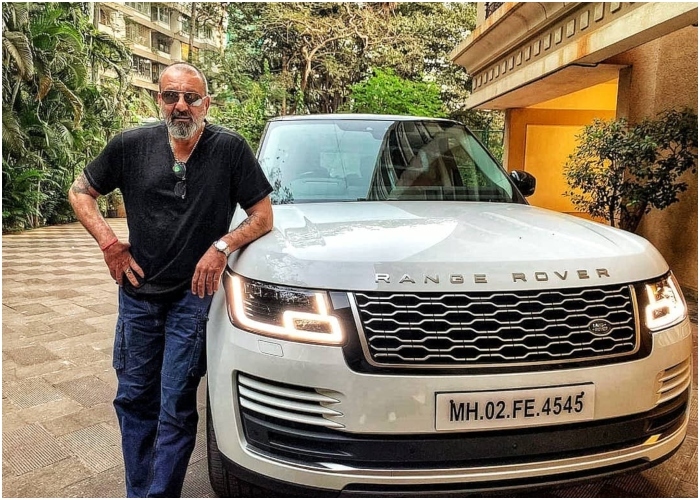 Sanjay Dutt rolled up majestically in his spanking new Range Rover SUV. He bought it only the day before. It paused in the sun while he got out. A gleaming monster on wheels in pristine metallic white with a black roof. Bearing his lucky 4545 registration number. I watched him from Dharma Productions two floors above. Where I was waiting to interview him for Kalank. Along with maybe a dozen other media people. He’s one of Bollywood’s most exciting actors. There’s nobody who does not want to interview Dutt. Even as he is today at 59, looking grizzled and almost fully bald, with a salt-and-pepper moustache and beard, the forehead scarred and creased like a jigsaw puzzle, his answers to questions reduced to carefully mumbled monosyllables. People want to interview Dutt perhaps even more than they do Madhuri Dixit, Alia Bhatt, Varun Dhawan, Sonakshi Sinha and Aditya Roy Kapur, his co-stars in the Partition drama. But Dutt was late. He got stuck at some meeting in YRF Studios. Just down the road.His new Range Rover SUV goes from 0 to 100 kmph in 8.3 seconds flat. He must have come tearing round to Dharma. Now he hastened to make up for lost time. Striding with the measured tread of a lion in winter to the elevator. Wearing distress denims and a white Armani tee that showed brawny tattooed arns. Black spectacles tucked into the collar. Larger than life. An image of swag. Also of a powerhouse actor hurrying to keep his date with the media. My interview was first. I watched Dutt sweep into the Dharma office with a sidelong glance at the Kalank poster standing outside. Then he was greeting me with the jadoo ki jhappi he patented in the Munnabhai series. And smirking when he saw me noticing his bulging biceps. “I’m working out, brother,” he said. I didn’t think that was a genre I actually wanted to be in. Bhoomi, I felt, could have been more action oriented. It didn’t have that space of Liam Neeson and Kevin Costner and what they do today. The problem is my audience wanted me to breakdown the court instead of breaking down myself! I’m not saying Bhoomi was a mistake. But it was a bad choice. And then Saheb Biwi Aur Gangster 3… if it’s a gangster film, then my audience expects to see me as a gangster. If those were mistakes or bad choices, what makes you think Kalank is right? Kalank is very different. Firstly it’s a multi-starrer with an ensemble cast. It’s a good drama about families and that’s another good space to be in. To reach out to family audiences. I play a mature man carrying his own baggage in life. No, I don’t think I was in consideration at all for Kalank. Yash Uncle had told me when we made Gumrah in 1993 that he had this story for a period drama set in pre-Independence British era. But I really don’t know if I was in consideration for the film. Yash Uncle was very sketchy about the details. And I didn’t think of asking him if I had a role. But now I must ask Karan Johar about this! Sridevi was to play the role of Bahaar Begum in Kalank. You acted with her in Gumrah and the two of you were friends. 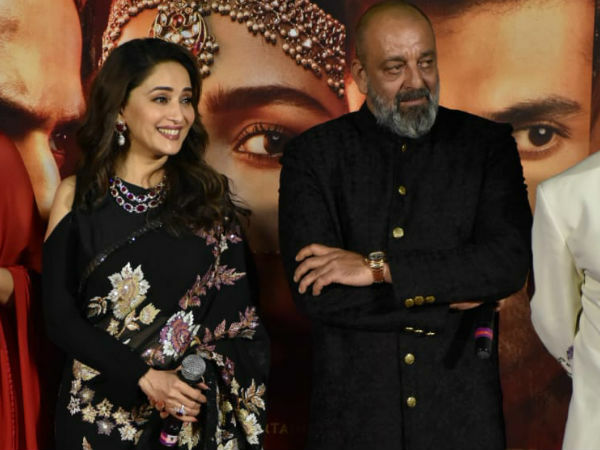 Did Sridevi’s passing away make you feel concerned about Kalank before Madhuri Dixit stepped in? You have been lavish in your praise of Madhuri Dixit. It’s been, what, 21 years since the two of you did a film together. What change do you see in her? She’s always been a great actor right from the beginning. I should know, we’ve done several films together. But she still has the power of being a great actor as she’s always been. She’s Madhuri Dixit – that’s it! Absolutely! Of course, everybody evolves as an actor. But it was a pleasure working with her and to do a dramatic and high power scene together with her. I have to move in time with age. I have to start taking roles like I’ve done in Kalank or Shamshera or whatever other films I’m doing where I’m playing my age. I mean, the time has moved on for me to play a college kid! Your audience wants to see ‘Baba’ on screen. Will we see ‘Baba’ in Kalank? You will definitely see ‘Baba’ in Kalank! 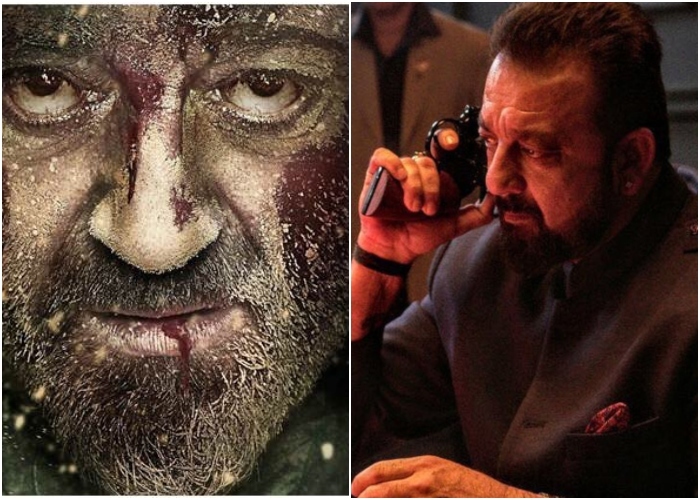 How would Sanjay Dutt define ‘Baba’? He’s an action-oriented guy. I want to get into the genre of films that veteran Hollywood actors like Kevin Costner, Denzel Washington, Al Pacino, Robert de Niro, Liam Neeson, Jack Nicholson and Sylvester Stallone do. They are all over 60. I am 59. And I want to play myself in my age. I want to get into that here. Nobody does it. Our roles should be scripted with the actors in mind like they do in Hollywood. Have you seen Costner in Criminal? Washington in The Equalizer? Those are the kind of roles I’d like to do. They have moved on to be mature, tough men, you know what I’m saying? That’s what a lot of people around the country have told me. That what they’d like to see me as an angry old guy or whatever. If you had the chance to live your life all over again, would your choice of films be different? No, they would be the same. I come from the heart. If I like a line, or a subject, I’ll go ahead. And once I commit, I don’t try to interfere or change this and that. I’m just the way I have been from the beginning. My choice of films would be some good, some bad. Every actor goes through that. There have been some real good one like Sadak, Sajjan, Khalnayak, Vaastav. It’s a good body of work. You know, as much as the pairing of Alia Bhatt and Varun Dhawan is exciting people in Kalank, this star couple has been seen a lot lately. Now the buzz of excitement is to see Madhuri Dixit and you. I have not heard that buzz. But I know, because we have not worked together for 21 years, people will go to see Kalank to see what we’ve done on screen. 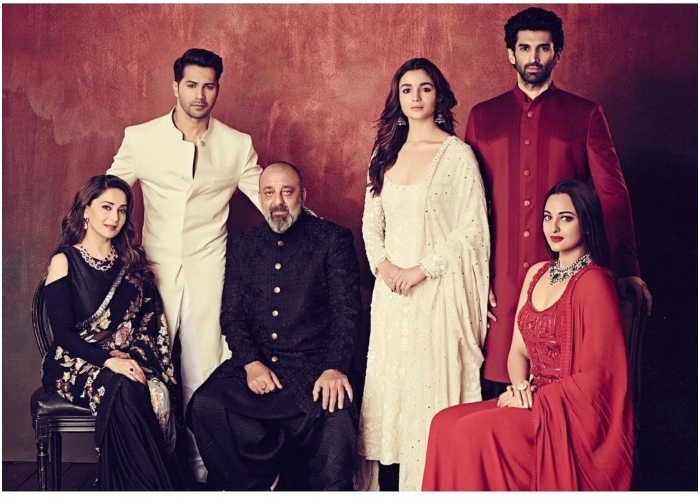 Are you playing the antagonist in Kalank? A. The antagonist! Like a villain? No, I am not! Where did you get that? Have you seen Kalank? Because, I can tell you, I have not!